Tina is the Preschool Coordinator at River Ridge and works directly with Family Ministry team members as well as kids in the Preschool department. Tina loves the relationships she has made with the staff and leaders who serve in Preschool. When asked to join the staff at River Ridge, Tina knew immediately that she was supposed to take the position and after a few days of prayerful consideration, she accepted. Tine grew up in St. Albans, WV, graduated from St. Albans High School and is a nationally certified Pharmacy Technician. She loves to run and spend time with her family. 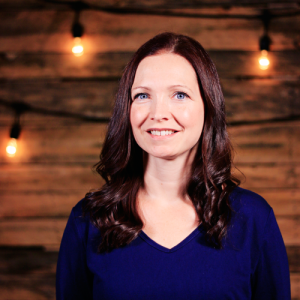 Tina is passionate about encouraging Middle School girls in River Ridge’s Wired events. And, after serving on a mission trip in Haiti, she is passionate about doing whatever she can to help the people there.